Temperatures had reached a high of 36 degrees Celsius in the city, with forecasts of further warm weather, with temperature set to hit 33 degrees Celsius on Wednesday and mid-to high 20s for the remainder of the week. 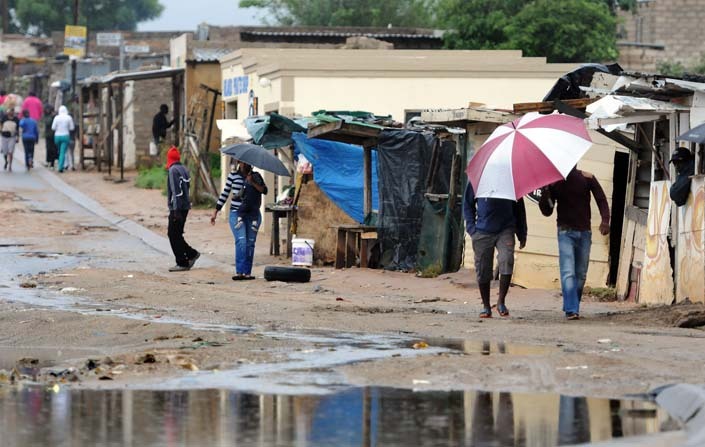 Cape Town welcomed some much needed rain on Tuesday afternoon as a cloudburst brought brief respite from the drought and heat which has been gripping the city. The city is engaged in a battle to stave off Day Zero – the day when most of the taps in the city run dry – but there was further good news for Capetonians Tuesday when the City of Cape Town announced that Day Zero had been pushed out to June 4, from an earlier date of May 11. The change in date was due to the continued decline in agricultural usage and Capetonians reducing their water usage, in cooperation with the City’s efforts to bring down overall consumption. Temperatures had reached a high of 36 degrees Celsius in the city earlier Tuesday, with forecasts of further warm weather, with temperature set to hit 33 degrees Celsius on Wednesday and mid-to high 20s for the remainder of the week, but with no further forecast of rain.